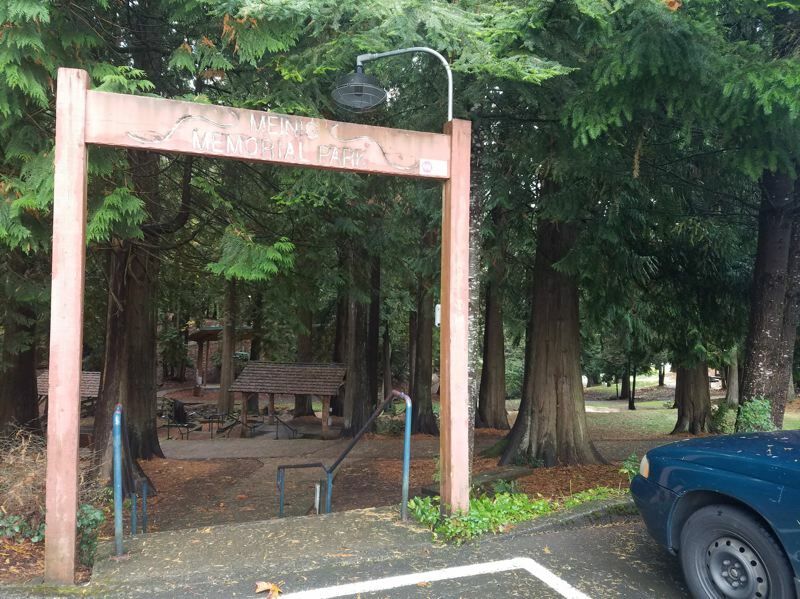 Thanks to Clackamas County Tourism grant funding, a few well-known parts of Sandy are getting some TLC. Both the Jonsrud Viewpoint driveway and the Meinig Park entry arch are being renovated with $28,000 in grant funds. Work has already begun on the viewpoint. Every year, the county extends an offer of tourism funds via the Community Partnership Program, which initially gives each community an opportunity to receive up to $20,500 for a project to promote tourism. This year, AntFarm received $2,000 to help fund a survey of the Mt. Hood Farmers Market. And with no other applicants, the city applied for $12,000 to replace the entrance archway behind Sandy City Hall at Meinig Memorial Park. In the past, the tourism department has funded renovations to the sound and lighting setup on the Dale Nichols Main Stage in Meinig Park with CPP funds. "We thought a good project would be to replace the entrance archway in Meinig," said Sandy Economic Development Director Dave Snider. After doling out funds to all of the communities possible, there is typically a small pot of grant funds leftover, and this year Sandy received some of those funds. Earlier this year, Jim Austin with Clackamas County Tourism & Cultural Affairs (CCTCA), suggested to Snider that some of the money go to widen the driveway in front of Jonsrud Viewpoint on Bluff Road. The city happily accepted a grant of $16,500 to help pay for the project. "Last year they'd been contacted by a couple of tour bus companies," Snider explained. The tour bus representatives told Austin they'd actually stopped going to the viewpoint on tours because the driveway was too narrow of a turnaround for the 40-foot-long buses. "Jim felt it was so important that this was one of the projects he wanted to do." So far, the city has used $6,500 of the funds: $4,000 to survey the location and $2,500 to complete an auto-turn report, which uses the survey to simulate how a bus would navigate the existing space. N8 Excavation, a local company, has been contracted to construct the widened driveway and estimated their work at $14,000, leaving the city to foot about $3,000-$4,000 out of city funds to complete the endeavor. "It will bring more tourism dollars into Sandy, most certainly," Snider noted, adding that the tour buses in question will likely be stopping in Sandy around lunchtime, so there's a possibility for the guests to end up patronizing local eateries. "We see it bringing people into Sandy. It's not going to be a huge impact, but every little impact helps."